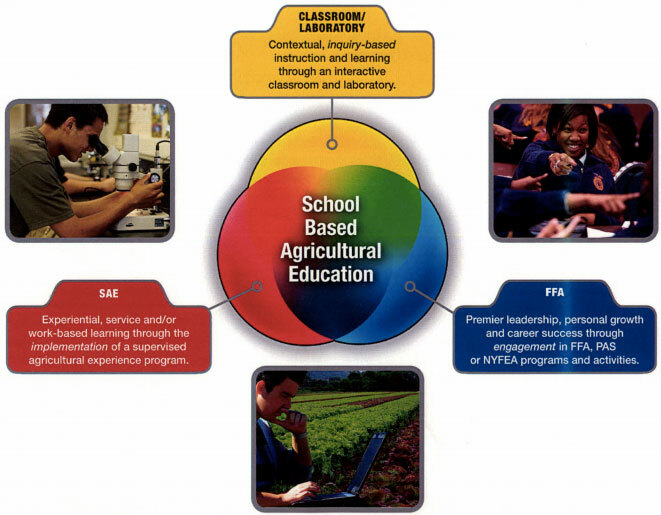 An agricultural education program is made up of three integrated parts: Classroom instruction, FFA and Supervised Agricultural Experience (SAE). Get a job or internship on a farm or ranch, at an agriculture-based business, or in a school or factory laboratory. Explore careers in agriculture by attending an agriculture career fair, or creating a report or documentary on the work of a veterinarian. Students who conduct an SAE and keep good records of their progress are eligible for awards at the local, state and national levels. Read more about SAE-based proficiency awards. FFA members who wish to initiate or improve their Supervised Agricultural Experiences (SAEs) can apply for an SAE grant.